Bailamos St. John’s Latin Dance Lessons at Boca Tapas Bar! Bailamos St. John’s owner Stacy Fowler is proud to announce a new partnership with Boca Tapas Bar as of Wednesday Jan 24, 2018…weekly Drop-in Beginner’s Bachata+ lessons! 8:30pm, $10 per person, no partner necessary. This one hour lesson will focus on Bachata basic steps each week, with occasional addition of another Latin style dance such as salsa, merengue or reggaeton. All dance participants will get 2 for 1 Tapas and $25 Sangria jugs!! The lesson will be followed by a few hours of Latin ​music so you can practice your new dance moves! for more info about Boca Tapas Bar and/or reservations call (709) 237-2622. 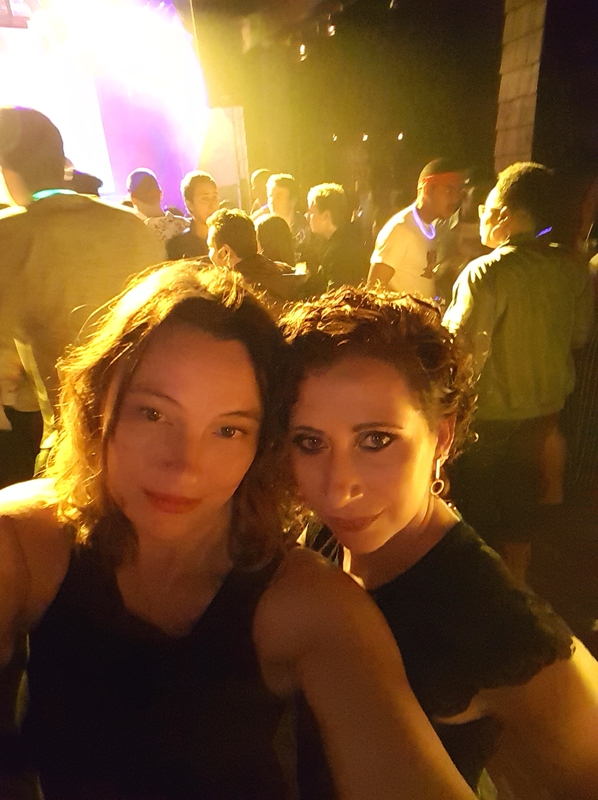 Welcome Stacy Fowler, new organizer of Salsa in St. John’s! DJ: Jonathan Young…has many years of DJ’ing experience both independently and as the Bella Vista’s house DJ. He has provided DJ services for various Latin and International dance events. Dress: we encourage guests to dress up in their springtime best…photo ops will be available! Door prizes**: include a gift certificate from Harvey WagonLit Travel, NLC gift cards from Don Tucker General Contractor, Mary Kay gift card from Stacy Fowler, $25 Irving gas gift card from realtor Olga Pippy…and more to be announced via fb event as we gather sponsors and donors. Cost: $5 at the door gets you all of the above…just like the good old days! ** chances of winning a prize depend on number of attendees. Tickets will be drawn for starting at 11pm until ~1am during the event, winning ticket number holders must still be in attendance at time of draw in order to claim their prize. Prizes will be as described via fb event info, no substitutions. Put it in your calendar, and we’ll help you dance away the winter blues! DJ Robinson has been DJing for about 6 years. His main genre is salsa, bachata, reggaeton, and merengue. DJ Robinson always tries to please people’s requests but his most important goal is to help people have fun and have a great night! PLUS come out early to catch a mini salsa lesson with Salsa in St. John’s premiere instructor Stacy Fowler! Can’t wait to see you all on the dance floor! Tango Your Way Through Valentine’s Day Weekend! Valentine’s at Black Sheep with Cuban Musician Hierrito Fernandez. 3:30-6:30pm. $10 at the door. -> You can look to the left side of this page for live facebook feeds from our Salsa in St. John’s “Latin Lounge” Series page or the Bailamos ST JOHNS page (no need to be a fb member). Thanks everyone for your patience and continued support of our great big little Salsa in St. John’s community!!! –> Saturday Sept 19th Baile Latino @ Annexe, 32 George Street Hi Folks! Its back again our Latino Fiesta with 2 DJ’s: DJ Marcelo! and dj alex. Lots of Bachata, Merengue, and Salsa tunes. Don’t miss out on this great opportunity to socialize and have some real Latin fun with the great Latin community of St. John’s! –> Saturday Sept 26th, Rumbón Latino @ The Rockhouse, 8 George Street We’re BACK for another tropical rhythms event in St. John’s. We are saying farewell to summer with a “Rumbon Latino!” on Sept 26th. Ritmos Latinos Canada’s DJ Chamba will be playing your favourite fast paced selection of tropical tracks all night long! Salsa, Merengue, Reggaeton & Bachata. Beginners lesson early in the evening with Stacy Fowler of Bailamos ST. JOHN’S is included in your cost! with a chance to WIN a 3 CD Set of the best Salsa music from around the world. Estamos de vuelta para otro evento de música tropical en San Juan. Estamos dandole adiós al verano con un “Rumbon Latino!” el 26 de septiembre. Ritmos latinos de Canadá DJ Chamba estará tocando su selección de tus favoritos ritmos tropicales durante toda la noche! Salsa, Merengue, Bachata y Reggaeton. Lección de salsa temprano en la noche con Stacy Fowler de Bailamos ST JOHNS está incluido en el precio! Tendras la oportunidad de ganar un set 3 CDs de la mejor música de Salsa de todo el mundo. –> Salsa, Merengue, Bachata classes with Latin Dance instructor Stacy Fowler begin Sept. 21st!!!! Have you registered yet? Classes are offered at the Jill Dreaddy Dance Studio LeMarchant Rd location. Classes start the week of September 21st and run until December 15th. JDD Is Celebrating Its 19th Season!! If you’re a returning student, we can’t wait to see you again! If you plan on taking a class at JDD for the first time, we can’t wait to meet you! Registration is open to all starting August 17th. NEW STUDENT’S – you are required to register in person during office hours. You can register at either location, CBS or St. John’s. RETURNING STUDENT’S – registration will be available online as of 6pm August 17th. Register anytime, anywhere, 24/7! No line ups or waiting!! Payment must be made with Visa and Master Card. One night only! The summer salsa event not to be missed! 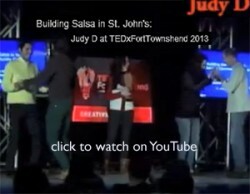 Proudly supported by Salsa in St. John’s! Pass the word along! Keep the Hustle movement alive! Saturday August 8th: Cuban musician at The Black Sheep! Join us for an unforgettable evening of Latin music…you’ll feel like you’re in a tropical paradise! Hierrito Fernandez, born in Holguin Cuba, made his way to Toronto Canada in 2004. Since then, this multi-instrumentalist musician has been mesmerizing audiences alongside the most renowned musicians in Cuba and Toronto. His genre scope knows no bounds. From modern jazz to Brazilian jazz his flag sound is the sounds of Cuba, old and new. Hierrito’s guitar dexterity is unique and spell-binding. Hierrito attended the Jose Maria Ochoa Conservatory in Holguin where he graduated to become the great artist he is today. His experience since his academic years includes Trio Union, Las Neiras group, and collaborations with the renown Arara group in Cuba. In Toronto, Onelvis regularly collaborates with musicians like Luis Mario Ochoa, Tipica Toronto, maestro Hilario Duran, Café Cubano, Clave King (Johnny Borres), Joaquin Nuñez, and also the great bassist Roberto Riveron, his cousin. He has performed regularly in the Beaches International Jazz Festival and other various festivals throughout Ontario and Canada. His first performance in St. John’s was as the lead vocalist with the 10 piece Cuban Orchestra Tipica Toronto at the Arts and Culture Centre with the International Council for Traditional Music World Conference. Summer 2015 Latin Workshops, Cuban Concerts, Multicultural Festivals and NEW Bollywood DJ Night! –> SAT JULY 4 FREE Intro to NY Style Mambo/Salsa “On2” workshop with CORIE HARNETT! at the Tombolo Festival…check the festival fb event for scheduled time. 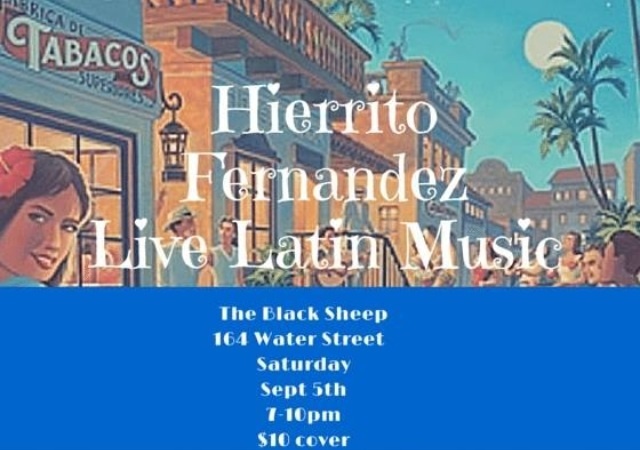 –> SAT JULY 11th 7-10PM Cuban Musician Hierrito Fernandez is playing at The Black Sheep on Water St. Sit back and sip some cold drinks while enjoying soulful songs of Cuba! –> FRI JULY 17 LATIN HUSTLE WORKSHOP with Yvon “Bboy Crazy Smooth” Soglo! at Mount Pearl School of Dance. email erikawilansky”AT”yahoo.ca to pre register. –> SAT SEPT 26 SALSA PARTY “RUMBON SALSERO” with DJ Chamba @ Rockhouse…more details soooon! Shining brighter than life in an intimate concert, check out one of the greatest Cuban Soneros of our time! Adonis Puentes brings a high energy (and volume) concert, where you’ll experience his rich voice and all-acoustic orchestra. This music just makes you want to dance the aisles to the Cuban rhythms, deep bass lines, and jazzy horn arrangements. Adonis has been nominated for a Latin Grammy Award and a Juno Award. Join us for a great weekend of activities for the whole family! Visit www.arhyel.ca/tombolo/ for full details! and crafts at the Festival. Many countries will be represented from around the world including: India, Jamaica, Argentina, Egypt, Pakistan, Nigeria, China, Canada, Belarus, Morocco, Iran, Trinidad, Cuba, Haiti, Cameroon, Turkey, Indonesia, U.S.A., Thailand and Ethiopia. The food and craft fair will be set up in tents set up outside on the Arts and Culture Centre lawn. Association for New Canadians, **SALSA IN ST. JOHN’S DANCE DEMO**, Mary Barry, Hadi Milanloo, Evelyn Osborne, Tanglecove, Neil & Terri Rosenberg, Rogues, Mary-Lynn Bernard, Monique Tobin, Kat McLevey, Hannah Wadman-Scanlan, Drum Circle/Tom Alteen and Inuit Drumming Group. –> SAT JULY 4 ALL NEW BOLLYWOOD DJ NIGHT @ ROCKHOUSE with DJ Prafull…it’s not a salsa party but it’s definitely gonna be awesome!!! Ladies and Gentlemen, kindly note that this July 4th, there would be first BOLLYWOOD DJ NIGHT in St. John’s at Rock house, where Prafull will be playing some highly energetic and best dance music from India. Also there will be a mesmerizing performance by the well known Bollywood dance group the Bollywood Jig. Once again, please mark this date and make sure to bring your date, friends and yourself because on July 4th the DJ and his party is going Wild ……. P.S. This event is organized by Prafull along with “Indian Youth Association” a student association here at Memorial University. Hustle, is a partner dance, that originated in urban clubs in the 1970s. From its inception, Hustle fused elements of various dances including Latin (mambo, cha cha, salsa) and disco, and was heavily influenced by popular music of the time, creating a unique social dance. To this day, Hustle is continuously evolving and is one of the few social dances born and cultivated in the U.S. I promise YOU WILL LOVE THIS!!!! Originating in New York in the mid-1970’s Palladium era and incorporating elements from many different dances, from Swing to Hustle to Afro-Cuban, this style of salsa distinguishes itself from others in that it is danced on the second beat of the music. In this way it is like many other urban dance forms because it accents the percussive instruments in the song, lending itself to soulful self-expression through the music. Plus, it’s just plain fun–learning to dance ON2 will open up your social dancing possibilities and deepen your connection to the music! In this six-week series, we will cover aspects of musicality, partner connection, basic turn pattern technique, and turning and spin technique “ON2”. Please note that while this is an introductory course, it is not suitable for absolute beginner dancers—of course you can be completely new to ON2, but some previous dance experience is necessary (and some experience with partner dances is a definite asset!). WHEN: Wednesdays July 22, 29, August 5, 12, 19, 26 from 7:00 – 8:00 p.m.
Pre-registration only (i.e. no drop-ins). Corie Harnett is a dancer, choreographer and arts educator who has explored a wide array of movement forms and dance traditions. She fell in love with Latin street dances about ten years ago when she began social dancing in Toronto’s underground salsa scene. Since then she has performed at such events as the Toronto Salsa Festival, Montreal Salsa Convention, Rochester Salsa Weekend and the Jimmy Anton Social in NYC, and has social danced with some of the finest dancers on the international salsa circuit. A fan of the New York style mambo (“On 2”), Corie loves to play with the musicality, body isolations and solo footwork it encourages, and seeks to combine these elements in dynamic and soulful ways in her choreographies. –> FRI AUG 21 CUBAN CONCERT!! HAVANA BLUES – They’re back! One night only! The summer salsa event not to be missed! Stay tuned for more info and ticket prices.